Recently a new podcast has been initiated. 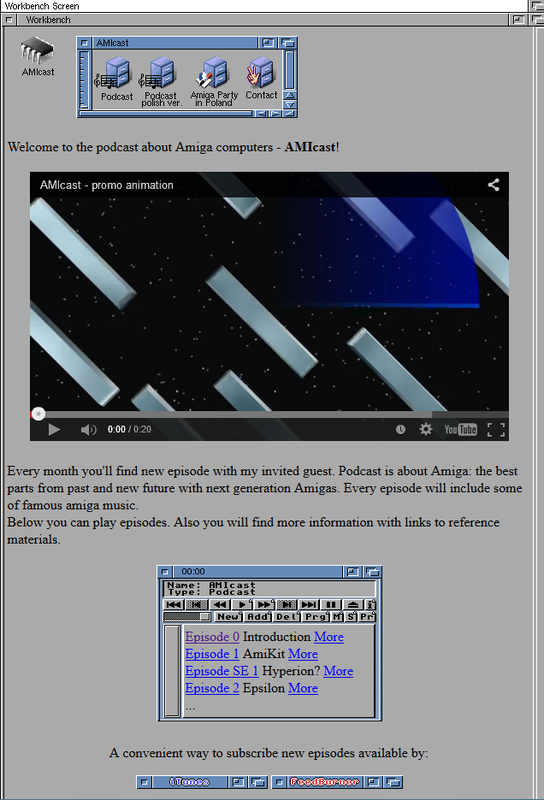 It is called AMIcast and aims to bring information, as well as interviews, from and about the Amiga community. 🙂 Every month you’ll find a new episode with a special guest. The guest this time was Epsilon, an Amiga blogger living in Australia. I think it looks (and sounds) very promising, so definitely going to follow this. Some of you might remember the Amiga Roundtable podcast, but as far as I know they haven’t been active for a couple of years now. It is therefore excellent that others fill the void. Good luck to the authors behind the project and looking forward to more podcasts from you guys.